0-4-2SkT No. B22 07 (Hartmann No. 2453 of 1898) and 0-4-2T No. B27 09 (Hartmann No. 3755 of 1914) potter around with one wagon in the depot yard at Purwodadi. Sunday 22nd July 1973. 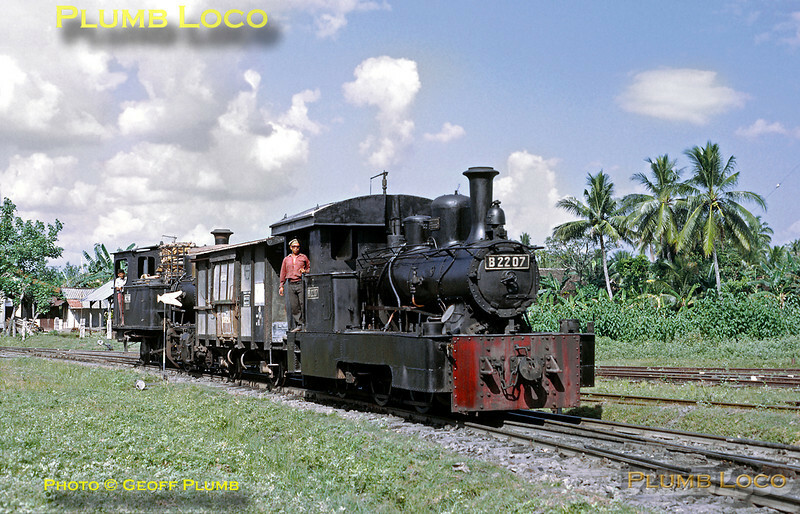 B22 07 is a "Skirt Tank", the water tank surrounding the loco at frames level, rather than a conventional side tank (as in the B27), saddle tank, pannier tank or well tank. Skirt tanks were not exactly commom beasts! It is also an inside cylinder compound. Slide No. 11629.